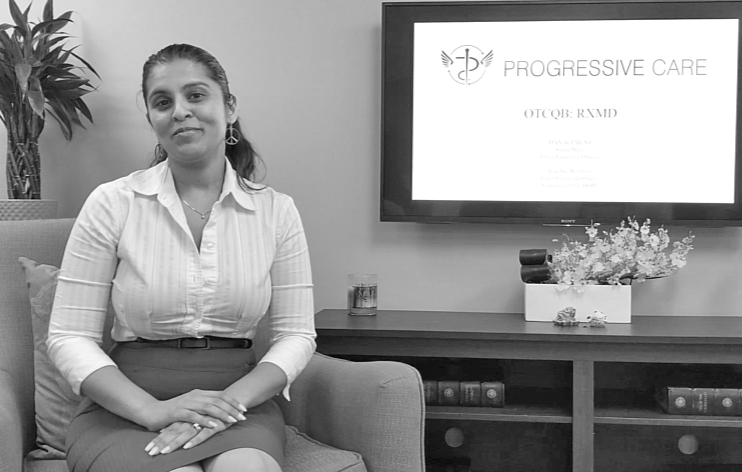 I had the pleasure of interviewing Shital Parikh Mars, the Chief Executive Officer of Progressive Care, a personalized healthcare services and technology company based in South Florida. Shital’s passion for creating an ethical proactive pharmacy model led her to her current position in January 2016. 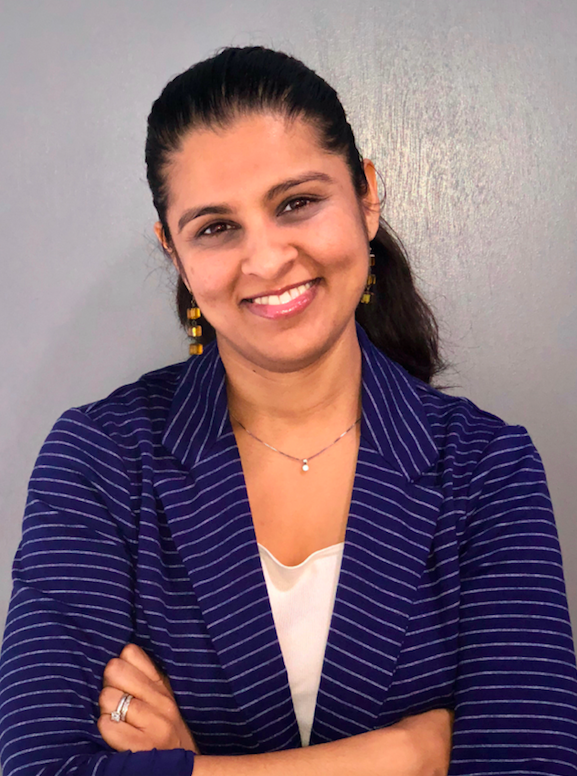 Under her direction, Shital has guided Progressive Care and its wholly-owned subsidiary PharmCo LLC on a rapid growth trajectory. Shital has continued to focus on creating and implementing systems that help to improve patient adherence and provide risk management practices for physicians and providers. She is also responsible for spearheading Progressive Care’s efforts to combat the nationwide opioid epidemic through a campaign designed to educate patients, physicians and providers on pain management alternatives offered by PharmCo. Thank you for having me! To tell you a little about myself, I am the daughter of healthcare professionals and for much of my life I rebelled and pursued things like business and economics. Who knew that I would end up in healthcare anyway! 10 years ago, I started my career in investment banking and through that, I was given a leadership opportunity at Progressive Care in 2012. It was then that we began to transform the company from a retail drug store to a health services company and I could not be prouder of how far we have come. I have been around many people who struggle with addiction in general. What is different about this situation is that it is the medical community and the pharmaceutical manufacturers that are responsible for the opioid crisis. When you think about people struggling with opioid addiction they are not degenerates like people imagine them to be. They are our parents, our sons, daughters, friends, loved ones who experienced a medical situation that needed treatment. It’s unfortunate that that treatment has left so many with a life-long disease in addiction. Honestly, we are all one car accident, one surgery, one injury away from this being us and I just feel we need to have a lot more compassion and even more answers for those who are dependent, addicted, or both. As a pharmacy, we felt we had to do something. People are making life and death choices every day when they wake up. They are in extreme pain and think they should either die, try to get more prescription opioids, or look for heroin. This should not be happening. There are better options and WE need to bring them to these patients to save their lives and save our communities in the process. We cannot deal with the crisis just by vilifying opioid users and physicians. We are too focused on the supply side of this problem. Yes limiting access is a start and the right thing to do but that is too little too late for the patient who is already opioid dependent and addicted. We must deal with the demand for effective and safe pain management otherwise we will continue to see more tragedies. We need to treat these people like the patients that they are and stop passing the buck because now they hard to manage. In the 1990’s pharmaceutical manufacturers purported to physicians that opioids were safe for treating all types of pain. Doctors who struggle with having time and resources for the patient welcomed what they thought would take all the nuance out of patient pain management. They overprescribed the medications, and medications began to proliferate in the streets for illegal use. For patients that needed the medications, they built tolerance and needed more and more opioids to provide the necessary pain relief. All of this leading to dependence and addiction running rampant in our communities. There is a lot of blame to go around. Pharmacies who turned a blind eye, doctors who ignored the warning signs, insurance companies who to this day fail to understand how pain should be treated and benefits covered, pharmaceutical companies who lied, and an overall lack of education and understanding about what is pain, what causes it, and how best to manage it while treating the underlying ailment. Progressive Care specializes in non-opioid pain management through proactive patient engagement. We are working to re-educate physicians and patients alike on pain management best practices. We know there are dozens of medications and therapeutic solutions for the pain that can provide relief and functional support to patients that do not require an opioid regimen. We look to prevent opioid use where we can, which is the vast majority of cases, but we also want to be there for those patients with severe systemic ailments and not vilify them for needing opioid treatment. In those cases, we work to limit the amount they need by offering them alternative solutions that will provide supplementary and complementary relief. We also are honest with people. We don’t want to promise them an end to their pain that we cannot deliver. We want to restore functionality and quality of life and that means for some patients tolerating some pain. But the patients we work with are so brave. They want to live and they want the truth and they want to fight. On top of that, we are fighting for non-opioid treatments for pain to be routinely covered by insurance. Today insurance companies are restricting benefits to the point where a patient can no longer get coverage for outpatient pain management solutions other than prescription grade ibuprofen, or Tylenol. There are also many plans that will cover the opioid treatment after Tylenol has been tried, but not cover a similar in cost non-opioid treatment. This needs to change. We need to recognize that pain is subjective and no 2 pain patients are the same. We need to have all of the options available to treat patients with pain and cost needs to stop being the primary concern. It’s hard to pick just one story because there are so many. We stay very involved in the community and we have people from all over tell us that what we’re are doing is providing actual relief for pain without putting their bodies at further risk. One story does come to mind, a former police officer who underwent numerous surgeries, so many that I lost count. He had been on an opioid regimen for decades and they simply did not work. He was in a great deal of pain every single day. He went to go see a surgeon who we happen to work with to provide pain management alternative solutions. We made him a topical formula to address his pain. It worked, It helped him regain a great deal of his mobility. He still needed opioid support but he did not need to take as much or as often as before. He was finally getting relief. Then the letter came that his insurance would no longer be covering the medication. We then had to come up with something else. It wasn’t as good but it still provided necessary relief. Then another letter came 6 months later. This happened at least 3 times before we finally got the insurance company to make a formulary exception. This is not an isolated story. These are the battles we face every day. We have veterans who have been taking opioid medications for years for injuries they have sustained, who have come to us and found a solution that finally allows them to get through their day. Athletes who don’t want to take an opioid but can’t take oral pain relievers who have turned to our topical solutions for arthritis, IT band strain, back injuries, shoulder replacements, knee surgeries. The list goes on and on. We know that when you treat a patient like an individual and you listen to what they are telling you, you can find a solution. We just need the medical community and insurance companies to get on board. What makes me the proudest is the impact our model has on our patients. When you have patients run up to you at a health fair or in the street saying you helped them when no one else would or that we took care of their mother or loved one like our own family, it’s enough to keep you going. We developed our model to solve problems that many in the medical community think are too small to address. But these problems lead to billions of dollars in avoidable cost. So we developed our own solutions to deal with things like adherence (Smart- Packs and In-home Medication Triage), medication therapy management (Tele-PharmCo), and transitional care (DischargeRx). We lower the cost of care throughout the healthcare spectrum and improve patient outcomes. We think that pharmacies have a bigger role to play in health care. We need to be a part of the care team. We need to work with patients on a personal level. We need to resist the temptation to take the human touch out of dispensing medications. Delivering the medications a patient needs should be the last part of a process that involves active engagement of the patient, the physician(s), insurance carrier, caregiver, to get all elements of the system to be on the same page and providing the best care. I believe that education can solve a lot of problems. More education for doctors about pain management and more education for patients on practical health care at home. We all need to have a better understanding of how our bodies work and how to live healthful lives. I think communities need to take the stigma off this problem, opioid addicts struggle. Addiction causes major problems for families, finances, and communities, but many patients are too afraid to admit they have a problem. They are too afraid to lose their jobs to get help. They are too afraid of the pain they feel and will feel worse if they come off an opioid regimen. These patients need to be spoken to with respect and understanding and we need to be more open about how to address their concerns. We as a society need to devote more effort and resources toward research and rehabilitation. We need new pain management solutions for severe acute and chronic pain and we need more access for patients to programs that can switch them from and opioid treatment to something else or to come off pain management entirely. I would like to see more support for pharmacies that do this work. Right now pharmacies cannot bill for services as physicians can. Yet we are required to do so much frontline care. We do this work for free because it is the right thing to do because it makes a difference. But more and more good pharmacies are closing their doors because margins on prescriptions are so tight they can’t withstand all of the costs of providing care. I would like to see marijuana be legalized for medical use in all 50 states and for the substance to move out for Schedule 1 classification with the DEA. By extension, we would also like to see CBD move out of that classification as well and for there to be a clear process for legal domestic production that will eliminate all of the confusion as well as provide true guidelines and standards. I get discouraged that I cannot help everyone. I hear patients pleading for help every day and it’s not just about pain. What keeps me going is my family, the family of employees we have at PharmCo, and seeing the impact we have on the patients and physicians we support. It’s also a deep desire to do more. I love what I do and knowing that what my company does helps people, keeps me motivated to keep going. I always have hope. When there is despair, hope keeps us all alive. We need real changes in our society to defeat this problem, but I know there are good people willing to fight for that change. I hope that I am contributing to that process. Leadership is inspiring those who listen, to be their best selves in everything they do. Leaders motivate, guide, teach, mentor, and support. Nothing is beneath a leader to do and nothing is too big for a leader to achieve. Leaders know that their strength is derived from those around them and that building people up to believe in themselves and grow also leads to a leader’s growth as well. I wish someone had told me that you can’t make everyone happy and that making everyone happy is not what is expected of you. When we were making changes to the company it required everyone to adapt to a new way of doing things. I was new in my leadership role here, young, a woman. I was afraid that my staff would not like me and that fear caused me to hesitate. I was so accustomed to being supportive and amenable that it was difficult to recognize that I needed to be decisive and direct. But ultimately the work needs to get done and I have to let certain criticisms roll off my back. I always listen, but I don’t always change my decisions. I wish someone had told me there is no such thing as having it all. I am a wife and mother now and a lot of people look at me and say that I have a good career and a good home life, I have it all. That’s a false narrative. I have to make choices every day. There are days when I have to peel my crying son off of me and go to work. There are days when I have to decline to work late on a project and go home and have dinner with my family. There are many days when I feel like a bad CEO AND a bad mom AND a bad wife all at once. I’m standing on my tippy toes on a fence balancing a million spinning plates and hoping that none of them falls. But at the end of the day, this is the life I want and I am content. I have to constantly adjust my priorities, but for now, I’m still welcomed when I come to work and still welcomed when I go home and that’s enough. I wish someone had told me that change takes time. Early on I had a lot of big ideas and big changes. I thought I knew everything and that solutions to problems were so easy to implement. I would get frustrated when things didn’t get done at the speed I wanted them to. But I have learned that lasting change is not rushed. It takes time. I say now “the arc of the world bends towards progress.” We will get the change we want, we just have to work for it and stick with it at a steady pace. To me the movement I would champion is education. To every young person, I meet I say “Education is freedom.” I believe that better education and not just in traditional academics would solve a lot of the world’s problems and lead to happier freer people. We need to educate young people to be well prepared, fully formed, emotionally and academically intelligent adults. To do this we need to seriously rethink how we raise and educate our kids because we are leaving all of the lessons of actually living life off the table and that’s causing a lot of the problems we see. I have 2. My brother told me when I was little that the purpose of life was to make the world a better place than the way I found it. I have made many poor choices in my life and being a perfectionist didn’t help. Every failure seemed to compound my anxiety and make me more likely to make more mistakes. Then my brother told me that life doesn’t need to work like that. “Just do better and the world will be better for it,” he said. I have evolved this transformative statement to a motto I live by now which is “Do better today than I did yesterday, so I can be better tomorrow than I am today.” I’m sure someone famous must have said that, but I couldn’t tell you who. The other is from my husband who told me “Celebrate small successes.” I come from a world of high expectations. Every achievement was met with a moved goal post. I could barely recognize the completion of something before I moved onto the next goal. It was exhausting and unsatisfying. It’s hard feeling like nothing you do is enough. Then my husband told me that for every achievement I needed to take a breath and recognize the accomplishment no matter how small. Each small moment of achievement when recognized builds confidence, self-esteem, and the strength to achieve more and I have found that extremely helpful in my life. As an American woman of Indian ancestry, I would probably like to speak to Sen. Kamala Harris. Our backgrounds are similar and she has carved a path for herself as a leader. As a person in a position to influence change, I think I could have an impactful conversation with her while also learning a lot to grow and develop in my own life.